To give the partying riders/visitors at least a bit to recover, the day would start at 11:00 with a freeride for all, followed by 2 warm up runs for the riders and then it was for real, with bracket A from open, women, juniors, street and classic luge. The skill level of the juniors keeps on rising. This year 5 juniors made it into the a bracket, Gustav Funck Norhall, Philipp Schickor, Johannes Aalholm and Connor Ferguson by time qualifying and Harry Clarke by advancing from bracket B. Elena Corrigall was the only women who was able to get into bracket A, by advancing from bracket B. Unfortunately neither Elena or one of the juniors but Connor were able to survive the first round. Round 2 of open had 32 men left standing and the juniors also started their 32 man bracket here (with 19 riders), which meant Connor had to ride juniors or open, get shuttled backup the hill and ride the same round in the other class. And he kept on standing until the finals in juniors but also open. Big up for this young Aussie. But before it got to that the women and both classic and street had to start their runs as well (all 16-man brackets). Now there were more riders who needed to be shuttled up the hill in between runs, since some street lugers also did classic and needed to do another run in this round. The women's final consisted of Elena Corrigall, first timer Emina Andersson (SWE), Tamara Prader and Marie Bougourd. As expected by many, Elena came out on top 'miles' ahead, with Tamara and Marie finishing centimeters after each other. 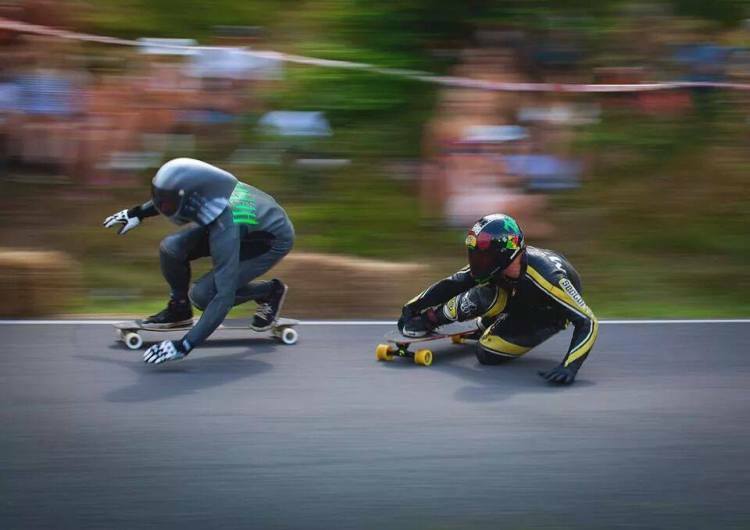 In both classic and street luge, there were no big surprises. 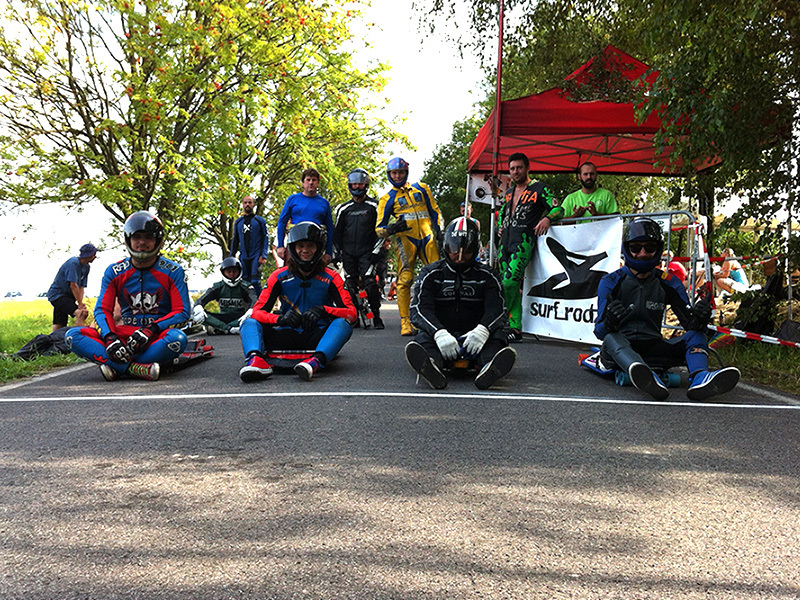 Mikel Echegaray-Diez took the win in both classes, where as first timer Jan Tarradas took the 2nd place in classic and 4th in street luge. In Juniors it was no surprise Connor Ferguson took the win before Philipp Schickor, Gustav Funck Norhall and Garino Gorgio. 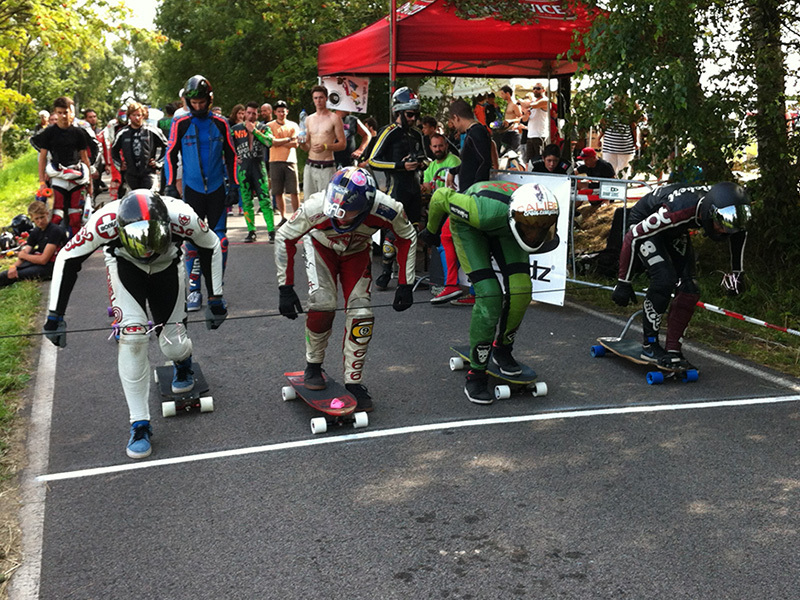 Semi final A was between Connor, Jurgen Gritzner, Byron Essert and Patrick Switzer. Byron slid out in the last right corner, he and his board bounced back on the road. Jurgen was approaching and was able to avoid Byron's deck, but when Byron tried to jump out of the way as well, just when Jurgen jumped of his deck to avoid him, they collided mid-air which made them flip head over heels over another. This crash caused red flags all along the track, while semi-final B was in progress (Douglas Silva, Carlos Paixao, Sebastian Hertler and Kyle Wester). The riders all blew by them, which means DQ according to the rulebook, but instead of DQ-ing the riders, a rerun was called, which wasn't welcomed by all riders, but was inevitable if they didn't want to be disqualified. Unfortunately during the push off Douglas Silva mispushed or misplaced his foot, which made him crash, tearing his achilles heel which meant he was out for the race. With him not finishing as well as Byron and Jurgen, Kyle Wester had to ride the cons final alone. The final went between Connor Ferguson, Patrick Switzer, Sebastian Hertler and Carlos Paixao, where Sebastian Hertler from Germany finished about 10 meters before Connor and Patrick, which was so close they couldn't tell themselves. The timing system here could tell us exactly and it showed Connor was slightly ahead of Patrick, which can also be see on the screenshot of the finish video below. 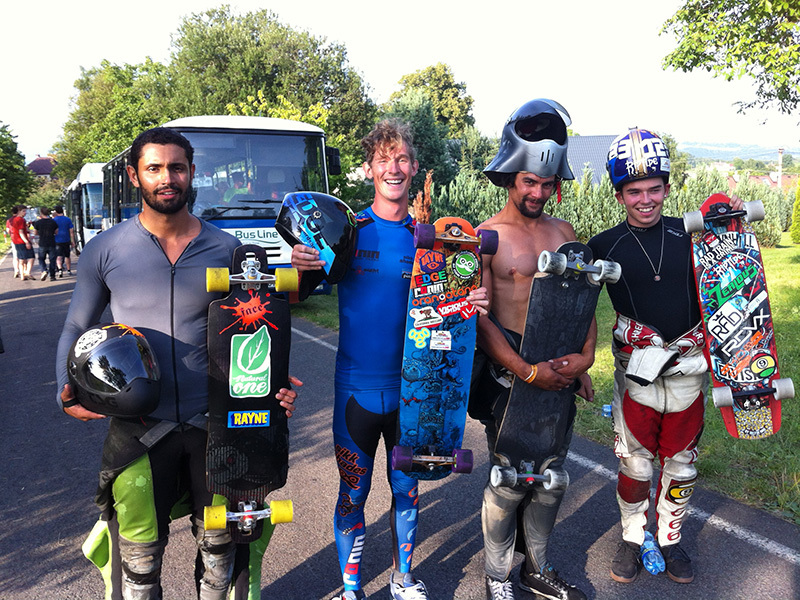 Kozakov 2014 was an awesome event again and had intense, tight heats. We can't wait for the skill level next year. See you then! Berry, or Beee as he's known by friends, is a downhill fan from the flattest country in the world. He supports the IDF during races and online, like building/maintaining the (new) IDF website. Next to that he runs Freerides.org, Sk8whls.com and SkateSafe.org.